Looking to sell a Takeuchi digger or excavator? Do you have a Takeuchi Digger or Excavator? 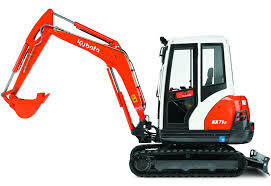 Do you have any Takeuchi diggers for sale? If you are to sell your Takeuchi digger or excavator that you no longer need or use, then why not speak to Sell My Digger today. We are expert buyers and want find out how much your unwanted machinery is worth. Although we buy machinery from many different construction manufacturers, we are particularly interested in purchasing Takeuchi excavators of any size, make or model. No matter how old, we can offer you a quick cash quote for the machinery. 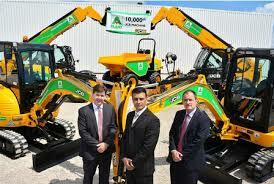 Takeuchi is an innovative Japanese organisation at the heart of the construction industry. Starting out life as Takeuchi MFG Co Ltd in Japan in 1964, this brand has grown and expanded, offering a variety of digger products in many locations, including the opening of a Takeuchi MFG UK plant in the mid-1990s. You will find a range of Takeuchi digging and excavating products to suit your needs, including mini excavators, track loaders, full radius excavators, diggers with reduced tail swing, hydraulic breakers and more. The company has even expanded into offering diggers of different weight and power categories, catering to large and small scale operations across the construction industry. With such a versatile portfolio, we are keen to acquire any of these top of the range Takeuchi products. So if you have any Takeuchi excavator or digger for sale, be sure to contact us today to turn that old machinery into useful business capital. To find out how much your digger or diggers are worth, you can either call us and speak to a member of our specialist sales team, or use our online contact form on the website. Once we know a little about your equipment, we can provide you with a fair and accurate cash quote for your digger – it’s as quick and easy as that! So if you’re looking to sell your Takeuchi Digger or Excavator simply get in touch.